DL News 2014/10 is here and the Index of earlier editions is here. The music of Ketèlbey, once so popular, has largely fallen out of favour apart from walk-on parts on light music albums. There’s a Decca Phase 4 release of nine pieces (E4447862: RPO/Eric Rogers, with other light music), another set of eleven on Chandos (budget-price Collect CHAN6676: Palm Court Orchestra) and a Marco Polo release in their British Light Music series (8.223442 – download only) but the Classics for Pleasure CD which I would otherwise have recommended, conducted by John Lanchbery has disappeared; only Amazon UK have even the download (with Luigini Ballet Egyptien). Yes, the music is often sentimental but we need a bit of sentimentality sometimes and these recordings with Robert Sharples at the helm of the New Symphony Orchestra are just the ticket. Recorded around 1959 in good stereo and very well transferred, these tracks make a fine alternative or addition to the Marco Polo or Chandos – see DL Roundup August 2009 for both of these. It’s a shame that In a Monastery Garden was not included – it was on the original Decca LP and released separately on EP and it used to be on Decca The World of Alfred Ketèlbey – you need the Marco Polo recording for that. The music by the other composers makes an attractive and varied half-hour-long bonus. Logos on the cover remind us that this album combines recording from the 78 rpm and vinyl eras. The Chopin, from 1937, sounds somewhat sub fusc, thin and dry, though the ear adjusts to some extent and it’s mercifully virtually free from surface noise. My principal benchmark for the Chopin concertos is still Rubinstein’s later RCA stereo recording with the Symphony of the Air and Alfred Wallenstein, or with the NSO and Stanislaw Skrowaczewski, both now sounding much better on CD and download than they ever did on LP. The opening tutti is heavily abridged, as was normal at the time – as it was, the recording took up three 78 sides. I’ve no inherent objection except to note that on his later recording Rubinstein (0902663044-2 – November 2010), like Ingrid Fliter and Jun Märkl on their recent Linn recording with the SCO, which I very much enjoyed, gave it the full treatment (CKD455 – review). 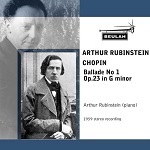 Fans of Rubinstein’s masterly Chopin are well served by Beulah this month, with two Beulah Extra tracks: Ballade No.1 in g minor, Op.23 (6BX73) and Scherzo No.1 in B, Op.20 (7BX73), recorded in stereo in 1958 – from eavb.co.uk. The 1947 recording of the Beethoven concerto still sounds locked in the 78 era, though it’s somewhat fuller than the Chopin. The performance was good enough to survive into the LP era, at least in the USA where Victor transferred it in 1952. 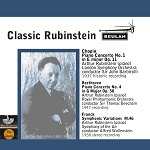 I hadn’t expected this to be as special as Rubinstein’s Chopin and I’m not sure that I’d go as far as Lionel Salter who averred in 1949 that no-one need bother to record the work ever again – they did and very good many of them are, including my own benchmark from Stephen Kovacevich, the LSO and Colin Davis* – but it certainly merits being heard alongside the Chopin. I haven’t heard the Pristine transfer of this recording, which John Quinn thought truthful (PASC165 – review) but, like him, despite some reservations about the performance, I’m glad to have heard Rubinstein’s performance. * Decca Virtuoso 4783350, with Concerto No.5, or Decca 4786452, Concertos 1-5, Diabelli Variations and eight Piano Sonatas, 6 CDs for around £30, or Decca Eloquence 4805946, all the concertos, 4 CDs, all at budget price. 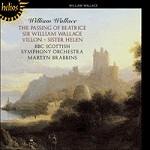 The Beulah album is rounded off with a 1958 stereo recording of the Franck Symphonic Variations. When released in 1959 alongside Saint-Saëns Piano Concerto No.2 the performance was accused of being offhand and hurried. Certainly it’s a work which deserves to be given full weight – that ‘symphonic’ in the title is no mere accident – and this recording is a little more hurried than my benchmark, from Clifford Curzon (Decca Legends E4663762 and various download-only permutations), with Rubinstein stressing the playfulness of this music rather than its symphonic nature, but I think the reviewer was unduly influenced by the quality of the sound, described as thin but evidently much improved on this Beulah transfer. The album takes its title from the opening number, the first of 21 tracks* which Al Bowlly fans will need no invitation to purchase, while others might profitably might make his acquaintance in these first class transfers, with almost no surface noise apart from the odd rogue patch, yet as full and undistorted a sound as could be expected for recordings dating from the 1930s. My review copy came in lossless (wav) sound and the iTunes and Amazon downloads won’t be quite of the same quality – when will they both up their game from around 256kb/s? – but that shouldn’t be too much of a problem. Amazon will confuse you by offering the album on CD with a free mp3 rip but they have confused the download-only Beulah with another album of the same name. 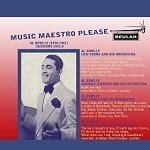 7 digital.com usually offer Beulah downloads in 320 kb/s sound but their search engine is so hopeless that I couldn’t find this album among their many Al Bowlly offerings. * including Night and day, Little old lady, Lullaby of Broadway, The very thought of you and Goodnight sweetheart. 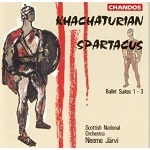 This authoritative recording of excerpts from Spartactus remains available on Decca Legends E4603152, with music from Gayaneh and Glazunov’s The Seasons. The Beulah transfer is hardly inferior and you may well prefer the coupling. 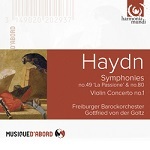 The composer also recorded theSpartacus pieces again fifteen years later with the LSO – till recently available with highlights from Gayaneh on Classics for Pleasure – review: download from 7digital.com – and now incorporated in a 2-CD set with the Piano Concerto and Violin Concerto (EMI 20th-Century Classics 6278902). His somewhat shrill Melodiya recording of several of his own works is available in a 5-CD Anniversary Edition from Qobuz. The first piece, Adagio of Spartacus and Phrygia, actually the start of Suite No.2, was used as the theme tune of a BBC TV programme, the Onedin Line, many years ago. Though the music has nothing to do with the sea, it formed an effective background to the opening shots of a sailing ship and it’s hard now to shake that association. One current recording even has a ship on the cover. These authoritative accounts still sound well but for alternative Khachaturian recordings, please see below. Harmonia Mundi have recently reissued a number of valuable older albums – not very much older, in some cases – on their mid- and budget-price labels. I’ve given links to eclassical.com downloads in all cases but I recommend checking local prices for the CD equivalents against their prices to see if they are competitive. In the UK that’s around £6.75 for Musique D’Abord and £7.50 for HM Gold. The principal ‘song’ of Virgil set here comes from Book IV of his Æneid, from the dying words of Dido: Dulces exuviae, dum fata deusque sinebat,/ accipite hanc animam meque his exsolvite curis. ‘Sweet relics, while the fates and the god permitted, accept this soul and release me from these cares’. The words are set in different ways five times (tracks 1 – Josquin, 2 – Mouton, 3 – de Orto, 13 – Vaet, 14 – Gerard and 15 – Lassus). Composers of other tracks include Willaert, Phinot and de Rore. Specialists have reservations about van Nevel’s approach to renaissance music – with one exception from an earlier style, all the music here is from that period – but this is the only show in town and most of us will enjoy it. Maria Cristina Kiehr (soprano); Concerto Soave/Jean-Marc Aymes – first released 2003. D’Abord HMA1951774 [64:45] – from eclassical.com (mp3 and lossless) or stream from Qobuz. These are beautifully performed accounts – a slight touch of hardness which some will perceive in Maria Cristina Kiehr’s voice notwithstanding – of music by a contemporary of Monteverdi whom many justifiably regard as almost his equal. The recording is good but the lack of texts, as with all D’Abord reissues, even on CD, is especially regrettable in this case as with all the vocal recordings. A powerful late work of intense fervour, based on St Peter’s lament on his betrayal of Christ and usually regarded as Lassus’ swansong. Now that the Herreweghe has been reissued at budget price, albeit without a booklet of texts – there may be none with the CD, either* – this fine recording competes on equal terms with the Naxos which I’ve listed. * Naxos generously make the texts and translations available here. These recordings make the transition from budget price to budget price, albeit with a different catalogue number. The original release made the Violin Concerto the headline work; now the two symphonies earn the large print. I thought the performance of No.80, which opens the proceedings, enjoyable – period-instrument performance without the tears – but slightly lacking in energy. Next von der Goltz directs and performs the solo in an enjoyable account of the galant-style Violin Concerto. No.49 certainly demands the passion that its name implies and it receives it, though I know that some have thought the powerful sections too hard driven: I don’t. You may also find the harpsichord continuo – absent in No.80 and lightly present in the concerto – too insistent in this symphony: again, I didn’t. The recording throughout is good. These performances either offer perfection or sound raw and uningratiating, depending on your take on period-instrument performances. My own feelings incline more towards the former than the latter. Cuarteto Casals – rec. c.2008? Previously available as HMX2962022.23, released 2009 and still available from some dealers at budget price. I liked the Cuarteto Casals’ most recent Haydn recording, of the Seven Last Words (HMC902162 – 2014/3), though acknowledging that some would prefer slower, more reverent versions. Swift but not over-brisk performances are more suited to these Op.33 quartets, especially the so-called ‘Joke’ Quartet – the Italian word for ‘joke’, scherzo, being a distinguishing mark of all six works here. These are period-instrument performances, with all repeats taken, but far from pedantic. Unless you can still find the original CDs at budget price or are prepared to accept mp3 only from 7digital.com, eclassical.com’s price is very competitive. Some may prefer the rival period performances from Mosaïques Quartet on Naïve/Astrée E8801 (download only). That apart, Cuarteto Casals go to or near the top of the tree. 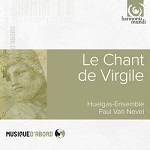 Huelgas Ensemble/Paul van Nevel – released 2003. Unless you object to van Nevel’s tendency to soup up the music, this budget reissue makes a fine alternative to The Tallis Scholars, most economically purchased as part of Gimell GIMBX302, 4 CDs at budget price – review and October 2011/2. As with all vocal releases in the d’Abord series, the lack of texts – provided by Gimell – is irksome. 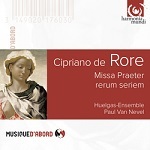 Don’t forget the recording by The Brabant Ensemble and Stephen Rice of de Rore’s Missa Doulce mémoire and Missa a note negre (Hyperion CDA67913: Recording of the Month – review and 2013/11). Ástor PIAZZOLLA (1921-1922) Concerto for bandonéon, etc. 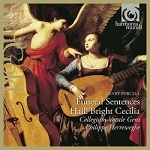 The first CD of this set is a reissue of HMC901462 – reviewed in 2014/3 – with the misleading words Musique funèbre pour la Reine Mary omitted from the cover: what we actually have are the Funeral Sentences which Purcell composed in the 1670s or early 1680s, framed by the Canzona and March from his music for the funeral of Queen Mary composed near the end of his own life. Z78b, however, still seems to be wrongly identified as Z78c. The second half of this two-parter comes from HMC901643, released five years later and with different, mostly Anglophone, soloists. Unless you go for the Hyperion complete set of Purcell’s church music, the Harmonia Mundi reissue is well worth considering, but this is one instance where shopping around is recommended: eclassical.com’s price of $25.28 may be attractive for US purchasers but the 2-CD set is on sale in the UK for around £11.25, almost £4 less at current exchange rates. No texts with any of these HM downloads, but that of the Requiem is ubiquitous, while that of Diligam te (Psalm 17 (18) 2-11) can be found here. Herreweghe made a fine earlier recording of the Requiem for DG Archiv in 1981 and that version has reappeared on Brilliant Classics 93890: Bargain of the Month – review. 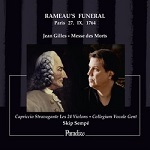 As Gilles Requiem is rather operatic in style, the inserted excerpts from Rameau don’t sound too much out of place. Both versions are well performed and recorded, but I’d plump for the Harmonia Mundi as offering two works by Gilles. It appears to have been the first version to appear without the Campra accretions when it was released, whereas Sempé includes the extra orchestration which had accumulated in the 60 years between the music’s composition and Rameau’s death. Though Masaaki Suzuki on BIS is working through the Bach secular cantatas, there’s room for this reissue of René Jacobs’ older recording of three of them. Please see 2014/8 for my joint review of this HM Gold reissue and Suzuki’s recent recording of BWV205 and 207. The opening Der Wanderer an den Mond, D870, and track 16, An den Mond in einer Herbstnacht, D614, provide the title for this collection of night-themed lieder. Opinions were mixed when it first appeared, ranging from almost unalloyed delight to a feeling that Henschel and Deutsch didn’t quite penetrate the Innigkeit of some of the songs. I incline more to the former viewpoint. Try Meeres Stille (tr.10) if you have any doubts about their ability to capture the mood. 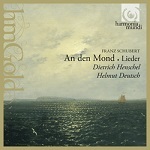 The beauty of Henschel’s singing is not in doubt, especially by comparison with the earthier but equally accomplished tones of Mathias Goerne, whose continuing cycle is also released by Harmonia Mundi: on the first half of Volume 8 Goerne is, like Henschel, accompanied by Helmut Deutsch, with Eric Schneider on CD2 (HMC902109.10 – review). If you already have a basic collection, such as Dietrich Fischer-Dieskau with Gerald Moore (EMI Red Line 2322802 or DG 4793074, 3 CDs) or with Jörg Demus and Gerald Moore (DG Originals E4577472), all at budget price, the Henschel reissue could be a logical next step, especially as he shares many of F-D’s vocal qualities. In one of those pricing paradoxes that I’ve stopped trying to resolve, classicsonline.com charge £4.99 for their mp3 download – significantly less than eclassical.com, but the latter also offer lossless at the same price – yet ask £7.99 for some of the (supposedly) less expensive D’Abord albums. Neither includes texts but these are not hard to find online. The 24 songs which Hugo Wolf orchestrated fit neatly onto a CD. These convincing and skilful performances show that the orchestrations add significantly to the piano versions and, with very good recording, as heard from the lossless download, only the lack of texts and translations – included with the CD, I understand – prevents a whole-hearted welcome. No matter – the texts of all Wolf’s song settings, in various languages, can be found online here. The album takes its name from the final song in the Goethe cycle, Prometheus, the man punished by the gods for bringing fire to the earth, a work of almost operatic proportions in this orchestral version. If you want the complete Goethe Lieder, with piano accompaniment, by common consent Joan Rodgers, Stephen Genz and Roger Vignoles are your go-to ensemble (Hyperion CDA67311/2: review – from hyperion-records.co.uk, mp3 and lossless, with texts). Indeed, Hyperion could be your one-stop shop for Wolf, with Arleen Augér’s fine account of a selection of the Mörike and Goethe Lieder on CDA66590, Felicity Lott and Peter Schreier with Graham Johnson in the Italian Song-book (budget-price CDH55385  review and August 2012/1), Geraldine McGreevy and Graham Johnson in Goethe Lieder on CDA67130, Stephen Genz and Roger Vignoles in Heine and Lenau Lieder (budget CDH55389 – August 2012/1) and Stephen Genz and Bernarda Fink in the Eichendorff Lieder on budget-price CDH55435. 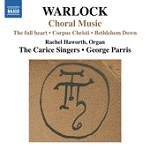 I mentioned this recording some time ago in connection with my review of another recording of Richafort’s Requiem on Harmonia Mundi d’Abord, a budget-price release well worth considering. In the absence of knowledge of the music performed at the Requiem of King Philip of Spain, Signum and Chapelle du Roi have put together a programme of what it might have been, though they are at pains to point out that it’s by no means an attempt at a liturgical reconstruction. It is known that a Gradual and Tract by Guerrero were sung and that the mass was based on Circumdederunt me and Richafort’s of 1532 is based on that cantus firmus, though it was well and truly obsolete by 1598 – it didn’t include a Tract as required by the new Tridentine rite, hence the inclusion of the Guerrero. In any event, what we have is both convincing and well performed, with spacious tempi, and well recorded. The only oddity concerns the strange decision to insert Lobo’s Versa est in luctum between the Sanctus and Benedictus. It’s a work well suited to a funeral but not at that point: Sanctus and Benedictus go together like horse and carriage. 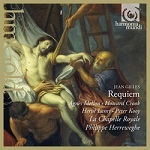 In addition to the Harmonia Mundi version of the Richafort Requiem, Cinquecento have recorded the work for Hyperion (CDA67959, mp3, 16- and 24-bit lossless, with music by Josquin and other contemporaries). 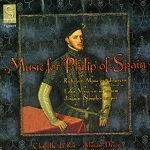 Signum have another album of music associated with this king: Music for Philip of Spain and his Four Wives (SIGNUM SIGCD006 – from classicsonline.com, mp3, or stream from Naxos Music Library, both with pdf booklet). You may also be interested to note that Hyperion have begun issuing both new- and back-catalogue releases from Signum, in mp3 and lossless downloads, some in 24-bit sound. Please see my full review on the main MWI pages. Though it overlaps with some of the available recordings of Thomas Tomkins’ music – we didn’t real need yet another version of When David heard, with three outstanding recordings to its credit – this is a valuable addition to the discography.  Gimell CDGIM024 : The Great Service and other music: The Tallis Scholars/Peter Phillips – this would be a fine starting point for anyone starting to explore Tomkins’ music. Though Tomkins is comparatively ‘modern’ for the Scholars, this is as good as it gets from a specialist group as opposed to a cathedral or collegiate choir. See The Tallis Scholars at 30 – here. 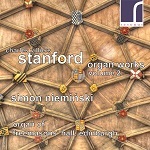  Naxos 8.553794 : Choral and Organ Works: Oxford Camerata/Jeremy Summerly – a budget-price recording but not bargain-basement performances or recording. In addition there’s a fine recording of music by Tomkins and his contemporaries, Tune thy Musicke to thy Harte: Harmonia Mundi HMU807554 and the whole Third Service, plus some voluntaries and anthems is offered by New College Choir, Oxford, with Edward Higginbottom on CRD CRD3467. Those in search of a bargain, in addition to the Naxos, should consider a Hyperion Helios reissue of Tomkins’ Cathedral Music sung by the choir of St George’s, Windsor, directed by Christopher Robinson (CDH55066). The EMI anthology of music by Weelkes, Gibbons and Tomkins which I mentioned along with the Helios in The Tallis Scholars at 30 seems to have disappeared even as a download. The lack of a booklet from any download source is a problem but the two reviews listed should help and you can find brief notes on the Signum webpage – here. rec. Temple Lanterne, Lyon, February 2014. DDD. Harmonia Mundi have prefaced the title page with the name of Estienne Moulinié, presumably because he is the best known of a fairly obscure group of early 17th-century French composers. Even so, his is hardly a household name, with around 15 CDs wholly or partly devoted to him in the present catalogue and some of those contain only one or two pieces by him. On some of those his music is coupled, as here, with that of Antoine Boësset. Clear, bright performances, well recorded, especially in 24-bit format, makes this an attractive introduction to the music of the period. 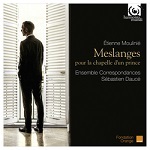 For an album wholly devoted to Estienne Moulinié, there’s L’Humaine Comédieon Alpha ALPHA005 [68:57] – from eclassical.com (mp3 and lossless, no booklet, no CD equivalent) on which Poème Harmonique and Vincent Dumestre (lute, theorbo and baroque guitar) perform some of his secular vocal and instrumental music: the longest pieces are a series of bird sounds, Concert de differents oyseaux, and Entrées instrumentales du ballet du Mariage de Pierre de Provence avec la belle Maguelonne. The album can be streamed, with 33-page booklet – multilingual texts and translations – from Qobuz . 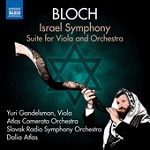 If Qobuz can offer the booklet, why not eclassical.com or Naxos Music Library, from whom it can also be streamed? Ant(h)oine Boësset also has an Alpha CD to himself, with a few pieces by that prolific composer, Anon, of vocal and dance music for the court of Louis XIII: French Airs de Cour – Je meurs sans mourir, again with Poème Harmonique and Vincent Dumestre (ALPHA057 – from eclassical.com, mp3 and lossless, no booklet). Once again, despite enthusiastic reviews when released in 2004, the CD is deleted and for these vocal works in a melange of languages the lack of a booklet is more serious. This time Qobuz, though it can be streamed from there and Naxos Music Library, has no booklet. rec. Deutschlandfunk Kammermusiksaal, Köln, May 2013 (54:B1, 53:D3, 53:E1, 50:3), October 2013 (44:42), January 2014 (TWV deest). DDD. Type ‘La Stagione Frankfurt CPO’ into the MusicWeb International search engine and you’ll find that they have already given us several fine recordings of the music of Telemann and his contemporaries, alone or in company with Camerata Köln. Now they embark on a promised – and very promising – series of grand concertos, by which is meant works with several soloists. One small grumble: both eclassical.com and Qobuz offer the booklet, but shorn of the CD insert where venue and recording date are given. When I complained about getting only the front and back of CPO booklets, I didn’t intend them to make us do without the back. Naxos Music Library come to the rescue with the booklet and the rear insert. There’s a great deal more to Les Indes Galantes than the Air des Sauvages which is regularly trotted out on Classic FM – or, indeed than is included in any orchestral selection. I recently recommended two recordings of the orchestral music – 2014/4 – but, looking around for a recording to commemorate the late Frans Brüggen, now think this an even better recommendation. There’s as much music as on the Herreweghe (Harmonia Mundi), though we are given a slightly different selection and in a different order – that in which the music occurs in the complete opera-ballet. Given that the download from 7music.com costs just £4.99 and the Qobuz link will take you to an offer of lossless sound for £6.75, only the lack of a booklet presents a problem. If you bought the Concert d’Astrée’s inexpensive 2-CD set Une Fête Baroque (7307992 – review), liked the two vocal extracts from Les Indes Galantes on CD1 and would like more than the orchestral suites, but don’t want the Opus Arte DVD with William Christie and Les Arts Florissants (OA0923D – review) Qobuz have a recording directed by Hugo Reyne, who, though I think of him more as a Lully specialist, directs a stirring and enjoyable performance, ably assisted by Les Solistes, Chœur et Simphonie du Marais, recorded in Vienna in January 2013 on their own label (605013). Stream in lossless sound or download for €17.29 (16-bit) or €25.89 (24-bit), complete with multi-page booklet. Effectively 2 CDs for the price of one, the Linn is about the least expensive way to obtain the complete Schumann symphonies. Even my benchmark recording from Wolfgang Sawallisch on Warner/EMI costs rather more on CD (5677682, with Overture, Scherzo and Finale, around £12 or download from sainsburysenteretainment.co.uk for £8.99) as against £8.00 for the Linn in mp3 or £10 for the 16-bit download) and even the Studio Master downloads – from Linn only at present – are competitive at £18. Bargain or no, any recording of these symphonies has to hold its own against that Sawallisch set or my other favourites from the past: Josef Krips in Nos. 1 and 4 (budget-price Decca Eloquence 4804325, 2 CDs, with Brahms Symphonies 1 and 4 – download in mp3 from 7digital.com ), Rafael Kubelík, especially in Nos. 2 and 3 (lower-mid-price DG Originals 4778621, all four symphonies plus Genoveva and Manfred) and George Szell’s Rhenish (budget-price Sony 5160272, all four symphonies for around £10. 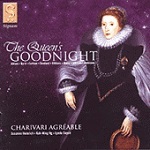 Download earlier release, without Genoveva, from sainsburysentertainment.co.uk for £8.99). The odd slightly ungainly tempo change in the finale apart, Ticciati gives just as joyous an account of the Spring symphony as Krips – my first recording of the work, on 10” Decca – or Sawallisch, my current benchmark. The direct competition here comes from Thomas Dausgaard in the BIS ‘Opening Doors’ series, also with a chamber-size orchestra, the Swedish CO (BIS-SACD-1569, with Overture, Scherzo and Finale and Overtures), which I liked rather better than Philip Borg-Wheeler – review – though I agreed that his vision of Spring is too fiery – DL Roundup April 2010. I liked the rest of that BIS series – details in the same DL Roundup – and I shall continue to listen to it with enjoyment alongside the new recording, but the Linn is likely to become one of my benchmarks in future alongside the other favourites that I’ve mentioned, especially as the recording is good, even in 16-bit and mp3 format. This version of the Rhenish doesn’t quite efface memories of Szell, another old favourite which I owned on a Columbia Epic LP: Ticciati lingers a little more, but his is in the same league of life-enhancing performances. If you think Szell too fast, you may prefer Ticciati. Ditto for Krips’ No.4 – obtained on Decca Ace of Diamonds, with No.1, when I traded in that 10" LP – but again in the same league. Dausgaard wins here by dint of offering both versions of this symphony. The finale on Linn, aided by some hearty thwacks with wooden drum-sticks, brings the house down. There’s no special price for the Audite recording but, at $12.02 – just over £7 at current rates – it won’t break the bank and it’s well worth considering if you’re in the market for just these two symphonies. Tempi are a shade faster throughout than on Linn, especially in the third movement of No.2 (8:26 against 10:13) and the opening movement of the Rhenish (8:58 against 9:37). The former is marked adagio espressivo and most take that to indicate a timing of a little over 10 minutes – Sawallisch takes 10:18 – but Heinz Holliger makes his faster tempo seem perfectly natural and unhurried. The opening movement of the Rhenish, marked lebhaft, certainly benefits from the faster treatment: Sawallisch is even a shade faster at 8:55, though, surprisingly, the speed-merchant Szell takes longer at 9:13. It seems that Szell was not such a speedy Gonzalez in this work as I recall – in fact, TH’s review in 1963 comments on the comparatively spacious speed in the second movement: at 6:15 he’s slower than Holliger (5:40) or Ticciati (6:02). I like the way that Holliger keeps the music moving here without seeming hurried; listening to Szell again, in lossless sound via Qobuz, I now think he’s inclined to make the movement sound a little arthritic and Sawallisch at 6:42 seems impossibly slow after hearing Holliger. So much for cherished benchmarks: of those that I mentioned at the outset, only Kubelík, at an ideal compromise of 6:08, holds up here. The Audite recording is good throughout, though I miss those powerful drum thwacks, so apparent on the Linn recording. If you bought the first volume (Audite 97.677, Symphony No.1 and No.4, original version, and Overture, Scherzo and Finale) I’m sure you’ll want the second. The third volume, containing the Cello Concerto and final version of the Fourth Symphony, is due for release in October 2014. 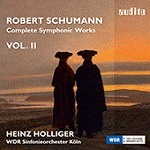 I should add that I haven’t yet heard the new, highly-regarded BPO/Simon Rattle set  review – except for the 1-minute segments from Qobuz, but I see that he attributes his appreciation of Schumann to a meeting long ago with Heinz Holliger, whom he describes as a Schumann ‘nut’ – endorsement of a kind for his mentor’s new recording. In recent years Keilberth’s 1950s Bayreuth Ring cycle has been refurbished and rediscovered. Knappertsbusch, who took over from him in 1956, was certainly no whizz kid and his performances seem measured by comparison but they, too, have their merits, not least the strong cast which he inherited from Keilberth. The live recording could hardly be mistaken for something more modern; the audience are hyper-bronchitic at the start and there are a few distracting stage noises, especially heard on headphones, but overall the transfer is good to very good for its age. I long ago learned to like Kna’s Wagner: his Parsifal is one of the slowest accounts of a very long work, but his mono recording is still my benchmark for that opera. There’s no text but Chandos generously make available the English translation in the booklet that comes with their recording (below) to all comers. For a more modern recording by another conductor who took Wagner even more slowly, but very effectively, Chandos offer Reginald Goodall’s Ring cycle, in Andrew Porter’s very fine English translation, separately (Rhinegold, CHAN3054, mp3 or lossless) or as a set on a single USB memory stick, CHUSB0005 – review – now available again in flac or wma lossless for £99.99. Walhall offer a less expensive 2-CD transcription of this 1957 recording and of the 1956 and 1958 performances, too, none of which I can vouch for. Brian Wilson was reasonably well disposed towards this collection in his recent review. Transferred from an original Westminster LP (WST17035) using ‘highend [sic] equipment’ it ought to be much better than it is. Brian described the performances as ‘bright and lively’, and so they are; MUCH less appealing, though, is the shallow, screechy sound. Not only that, there’s a subsonic rumble in La Vie Parisienne that’s even more disfiguring. Indeed, I found this a very painful experience all round. Interestingly I had HDTT’s re-master – from tapes, not LP – and the sound, while far from ideal, is considerably better than Archiphon’s. Alas, HDTT’s Bob Witrak appears to have withdrawn this recording from his catalogue, which is a great pity. At least that version has a degree of warmth and weight that makes for a more pleasant listening experience. True, it’s not as analytical as the Archiphon, but that’s a compromise I’m more than happy to accept here. Based on this unhappy experience I’m not inclined to try any more Archiphon titles. They’re not particularly cheap - $11.49 for the 24/96 flacs reviewed here – and there’s no documentation either. To put it bluntly, this download is a waste of money, and I’m surprised eclassical have agreed to host such a substandard product. First let me say that I have recently noted with surprise that some LSO Live downloads from Hyperion have been significantly more expensive than the CD equivalents. On this occasion, however, the 16-bit at £6.50 costs less than the disc and the 24/96 only a little more. It’s only since the advent of CD that record companies have been able to fit the whole of Ma Vlást on one album. It even used to be possible to buy just one LP with the most popular movements, leaving Tábor and Blaník out in the cold. I even remember taking just the first LP out of the university record library on the basis that I just wanted to hear Vltava and From Bohemia’s Woods and Fields. One of the first CD albums to include the complete cycle came from Sir Malcolm Sargent on budget-price EMI Laser and it’s surprisingly good – far better than the usual jack-of-all-trades competent performances that you might expect – and it remains a very attractive proposition on Classics for Pleasure (no longer available on CD: download from 7digital.com for £4.49; stream from Qobuz). I was going to use the Sargent recording as my benchmark but there’s a more authoritative one and it comes at an even more attractive price: the live performance by the Czech Philharmonic and Sir Charles Mackerras, Czech by adoption and by virtue of the quality of his performances of their music, comes on a 6-CD set, Life in Czech Music (SU40412 with Dvorák Slavonic Dances, Symphonies 6, 8 and 9,Symphonic Variations, Legends, Scherzo Capriccioso, In Nature’s Realm, The Water Goblin, The Noon Witch, The Golden Spinning Wheel and The Wild Dove). Unfortunately, the 7digital.com link which I gave in 2013/10 when I waxed lyrical about this set is no longer applicable. I can’t recommend the Amazon download when it costs a good deal more than the CD set, so iTunes at £24.99 is the least expensive that I can find – and that’s only pence cheaper than many charge for the CDs. The opening Vyšehrad is a bit slow to catch fire and Davis’s tempi throughout are a shade on the slow side, but so are those of Mackerras and Sargent by comparison with other classic interpretations, such as those of Rafael Kubelík (Prague Spring 1990) and Vaclav Talich (1954), the latter in a very acceptable transfer from Naxos (8.111237 – UK readers can download from classicsonline.com and stream from Naxos Music Library* or Qobuz) and also from BNF, available from Qobuz. I enjoyed Davis’s performances more as the cycle progressed but his Vltava is not quite as life-enhancing as Talich’s – and it’s not just the 43-second difference in timings that accounts for it. I seem to remember reading somewhere that a conductor has to believe in Má Vlast and Talich certainly did: there’s a live recording which I haven’t been able to hear of him conducting it in 1939 soon after the Nazi invasion and by the time of the 1954 recording his country was again effectively under occupation. Despite the advantages of 24/96 sound, the Barbican acoustic conspires to make this sound no better than the mp3 Mackerras. If you are looking for 24-bit sound at its best, head for the recording by Claus Peter Flor with the Malaysian Philharmonic (BIS-SACD-1805 – review and Download of the Month, July 2011/2). I don’t want to make too much of the shortcomings of the LSO Live sound – like the performances, it gets better as the work progresses and both conspire to make these recordings of the two afterthoughts, Tábor and Blaník, such that I wonder why I ever thought this a two-movement work. * I can’t give you a link: my access to NML comes via Naxos USA, where it’s not available. This has been my first encounter with James Gaffigan and it’s been an auspicious one. Instead of one of my tried and tested recommendations, I compared this new recording of the Sixth Symphony with the new Decca set of all the symphonies and concertos conducted by Jiří Bělohlávek. I’m more than a little disappointed with Universal for letting us – myself included – buy his recording of the Cello Concerto separately, then expecting us to buy it again in the set a month later. Performances of this very Brahmsian symphony stand or fall by the first movement. Gaffigan takes all the repeats, thereby giving the movement due weight. He also takes it comparatively straight and keeps the momentum going whereas Bělohlávek lingers by the wayside at times. Unsurprisingly, Bělohlávek takes almost exactly the same time over this movement as on his earlier Chandos recording (CHAN9170, with The Wood Dove) and his general approach remains much the same, the general effect of which is to make the movement sound longer than with Gaffigan’s fairly constant tempo. There’s plenty of scenery to admire but I think it best to keep the music moving here, so I prefer Gaffigan to either Belohlávek performance and to Yakov Kreizberg (Pentatone, with Vodník – review) who really does make the first movement sound too long with rubato and the observation of repeats. The usual comparison is with Brahms’ Second Symphony, a clear influence here, and the analogy could be drawn with Klemperer’s Brahms – foursquare but not unyielding, which tends to be my benchmark, contrasting with Sir Thomas Beecham’s lighter recording of the Second, which I also like very much. I’m not sitting on the fence – I like both but prefer Gaffigan – but I can understand that others will see things differently, so I suggest comparing Gaffigan and one or other of the Bělohlávek versions if you can – Naxos Music Library have the Chandos, Qobuz can offer both. 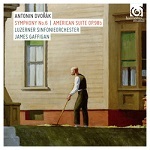 The inclusion of the little-performed American Suite – cue excuse for an Edward Hopper painting on the cover – would have been a valuable bonus until quite recently and even now there are not too many recordings: the doyen comes from Antal Doráti on a Decca twofer (4602932, with Slavonic Dances and Czech Suite), the most recent in Dvořák and America on Naxos, coupling the original piano version of the Suite with the Hiawatha melodrama, arranged from his music, and music by Arthur Farwell (8.55977). Dmitry Yablonsky’s recording is available on a single CD (8.557352) or with Stephen Gunzenhauser’s complete symphonies, etc. (8.501702 – download only or stream from Qobuz). The Harmonia Mundi recording is good, but a little light-weight, even in 24-bit format. 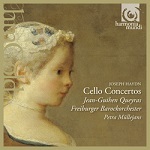 Hitherto my preference for the Suite has been a Supraphon recording with Josef Suk’s delightful Serenade for Strings and Fantastic Scherzo (SU3882-2: Prague PO/Hrůa – October 2010 DL Roundup) and that remains very worthwhile if the coupling appeals. We have had to wait a while since Volume 1 appeared – June 2011/1: only the fourth release from this enterprising label – and we’ve had a change of organist and instrument, but the wait has been worthwhile. Volume 1 brought us recordings some of the better-known works, but I still award full marks for the music, especially as there are two first recordings here. These are sensitive performances, a fine organ – a lovely growly 1913 instrument, restored in 2009 and just right for the music – and good recording quality. Last but not least, the booklet and notes are also almost on a par with Hyperion productions, than which there are none better. If I wanted to be fussy, I might have liked to have the registration for each work as well as the organ specification. ‘[I]t provides an interesting window on the activities of the young Elgar, on British dance music in the later nineteenth century and perhaps on the enlightened attitude towards “pauper lunatics” in Worcester at that time.’ See review by John Sheppard. Don’t be put off by the asylum connotations of the title: this is all thoroughly enjoyable, if hardly profound or distinctively Elgarian, music, much of it composed by the youthful composer as bandmaster of the institution for the dances which the doctors – enlightened for their time – found so therapeutic for their patients. The small-scale performances are more like the Viennese dances performed by Willi Boskovsky with his own Boskovsky Ensemble (Alto ALC1227 – review – and ALC1237: Recording of the Month – review) rather than the grand affairs on which he and his successors directed the VPO on New Year’s Day. At current £/$ exchange rates, theclassicalshop.net download is marginally less expensive for mp3, eclassical.com for lossless. Rob Barnett liked an earlier recording of 54 minutes of this music, also directed by Barry Collett – review – but this is a fuller and more expertly performed selection. rec. St Jude on the Hill, Hampstead, London, 26-29 March 1990. DDD. pdf booklet with text available. 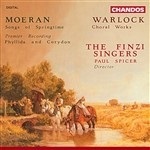 CHANDOS CHAN241-49 [equivalent of 2 CDs for the price of one: 73:49 + 53:04] – from theclassicalshop.net (mp3 and lossless). Download available ahead of CD release. 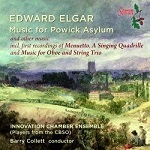 I hadn’t tried out either of these recordings before, despite the strong recommendations which both received at the time of their release, because the 6-CD EMI set of Elgar’s choral works with Sir Adrian Boult in command – Music Makers, Gerontius, Apostles, Kingdom and Coronation Ode – is such an outstanding bargain at around £20 (3679312) that it’s my port of call, though the Gerontius in that set doesn’t get much of an outing from me. The work, not the performance, is the problem, so I’ll just alert you to the appearance of a new recording from Sir Andrew Davis on Chandos (CHSA/CHAN5140, with Sea Pictures – from theclassicalshop.net, mp3, 16- and 24-bit lossless, due for release on SACD in October 2014 but available to download in advance). Ignoring Beecham’s notorious dismissal of Elgar’s oratorios – specifically Gerontius – along with Wagner’s Parsifal as ‘holy water in a German beer barrel’, the 2014 Proms opened with a performance of The Kingdom. 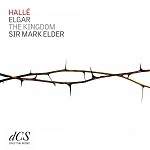 If you were there or heard it on the radio and are looking for a performance of that work, look no further than the Hallé recording; it’s something of a bargain, too, from emusic.com at £6.72, and though the bit-rate is not ideal at around 225kb/s, that’s not far short of what you can expect from Amazon and iTunes for almost twice the price and the sound is reasonable. There’s no booklet but subscribers to Naxos Music Library will find one there. 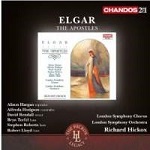 By coincidence or design to coincide with Elgar at the Proms, Chandos have reissued their Hickox recording of The Apostles, which many prefer even to the Boult set, as a 2-for-1 offer: £7.99 or £9.99 for mp3 or lossless respectively. That suggests that the Hickox recording of The Kingdom ( CHAN8788) may also be due for reissue, so you may prefer to wait and see. Powerful music from a polymath: classical scholar, eye surgeon, poet, dramatist, musicologist and composer – how could it have been so long neglected? It’s often reminiscent of Hamish MacCunn’s Land of the Mountain and Flood – he, too, could do with being rediscovered as more than a one-work composer, and Hyperion ride to the rescue again with a selection on CDA66815. Scottish independence or no, both composers deserve to be more widely known. 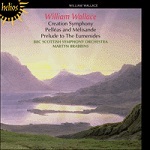 Wallace’s sub-titles alone are evocative, the music even more so, and it’s doubtful that it could have better advocates than the BBC Scottish, Martyn Brabbins, and the Hyperion engineers. You’ll find an analysis of the music on this album and the Creation Symphony – see below – by John Purser – here. If you needed any encouragement, this recording is part of Hyperion’s ‘Composers of the First World War’ offer: £4.00 in mp3 or lossless, £4.40 on CD till the end of 2014. I’m a fully paid up member of the Hamelin fan club, so even though Busoni isn’t my normal fare I wasted no time downloading this three-and-a-quarter-hour album. This is daunting repertoire for pianist and listener alike, but there can be few pianists better qualified to make this epic journey than Hamelin. Indeed, his recent coupling of Janácek and Schumann shows him at the peak of his powers (review). Not only that; Hyperion have an enviable reputation when it comes to solo piano recordings, so this ought to be a marriage made in heaven. Alas, such unions are seldom without their difficulties. The company’s website notes that these performances span a number of locations and dates, so it’s not surprising that the sound varies quite considerably. On the whole it’s pleasing enough, although balances tend to be quite close. That is fine in quieter passages, but louder ones are somewhat aggressive. 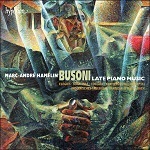 The bass isn’t always as firm or as well-focused as I’d like – Busoni’s dense textures don’t help – and the thrilling sense of presence that I associate with recordings from this stable is generally hard to find. Musically things aren’t an unqualified success either. There’s no doubt Hamelin has the measure of these sometimes impenetrable scores, and he ekes as much variety and colour from them as he possibly can. However, I suspect this mammoth traversal is more likely to appeal to Busoni buffs than to the average listener; certainly I wouldn’t recommend trying to get through it all in one sitting, for it’s apt to be indigestible in anything less than selective chunks. So a qualified welcome for this one, both musically and sonically. I reviewed the 24/96 flacs; Hyperion also offer 24/96 alacs, but for once I’d be content with the low-res mp3s. DEUTSCHE GRAMMOPHON 4792274 [33 CDs: 33:31:16] or as a download in two volumes, 4792277 (Arabella – Die schweigsame Frau) [17:32:53] and 4792278 (Friedenstag – Vier letzte Lieder) [15:58:23]. 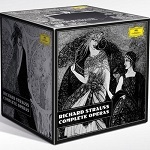 Please see my article: Richard Strauss - Some recent opera releases and reissues for this tremendous bargain and some other recent Strauss offerings. The discovery is not the music but the quality of the performances from an orchestra which I hadn’t expected to deliver the goods. I checked out this recording of VW’s war-related works from Naxos Music Library initially out of curiosity: could an American orchestra do justice to such quintessentially English music? I’m pleased to report that Dona nobis pacem confounded my narrow pre-conceptions: this is as fine a performance as I have ever heard of this powerful work, on a par with recordings by David Hill (Naxos 8.572424), Richard Hickox (Warner/EMI 7547882), both with Sancta Civitas, or Bryden Thomson (Chandos, with Five Mystical Songs). Bernard Haitink’s series of recordings of the VW symphonies had already made it obvious that non-English conductors could make sense of his music and that set remains my go-to collection (recently reissued on Warner 9847592 – review) alongside Sir Adrian Boult’s Decca mono recordings from the 1950s, but both he and André Previn (RCA: download only – sainsburysentertainment.co.uk ) were working with English orchestras, the LPO and LSO respectively. This recording from Atlanta now joins those, together with Vernon Handley (Classics for Pleasure 5757602, complete symphonies, etc. 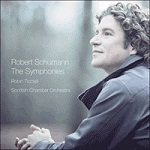 ), as my favourite recordings of the Fourth Symphony. Not that any of these make it easy to love – written in 1936 when the storm clouds were again gathering over Europe, it seems both to reflect the mood of the time and to hark back to VW’s wartime experiences. Though the composer denied these connections, as he did for the Sixth Symphony, they certainly can’t be shaken from my mind when listening to the music. If Dona nobis pacem and the symphony look both back to WWI and forward to WWII, the wartime connection of the lyrical The Lark Ascending is less obvious until you bear in mind that it was composed in 1914 but not published until after the war. Its inclusion here will please Classic FM fans who keep voting it No.1 – why not the Tallis Fantasia, a much more beautiful work? – but it otherwise seems out of place as the coda to two powerful works. My only reservation concerns the fact that this is short value as a 2-CD set – £15.98 in mp3 – when it’s only slightly too long to fit on one disc. If The Lark Ascending had been omitted – and we’ve only recently had a very fine Chandos recording from Tasmin Little and Andrew Davis – they would have done so. As I closed this DL News eclassical.com added it in mp3 and lossless for a lower price, but without booklet: $14.90. Like Bloch’s Symphony in E-flat and Three Jewish Poems which I reviewed in 2014/10, this is a reissue of a recording first released on ASV. The Israel Symphony has no current rival on CD and only one as a download, conducted by Evgeny Svetlanov on Brilliant Classics. Released in 2004 to general approval, the reissue of such rarely performed music in at budget price is very welcome; these performances should help to ‘sell’ it to a wider audience. The lossless download sounds fine – but please note that like all lossless downloads from classicsonline.com it comes as one long file. There are patent track splitters but it’s something of a hassle to use them. rec. Mátyás Church, Budapest, 1964.
rec. 1980? Released 1985. ADD? BEULAH 1PD21 [76:51] – from iTunes (mp3) or stream from Qobuz.  Háry János, Dances of Galánta and Marosszék: Philips 4628242 Budapest FO/Iván Fischer – download only: or Nimbus NI7081 Háry János,Galánta and Peacock Variations: Hungarian SSO/Adam Fischer – for both see October 2009 DL Roundup. 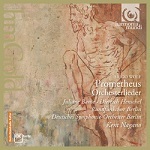 (NB: passionato.com link no longer valid: go to prestoclassical.co.uk (mp3 and lossless).  Háry János, Dances of Galánta, Peacock Variations, Concerto for Orchestra, Symphony in C : Double Decca 4430062: Philharmonia Hungarica/Antal Doráti. Also included in 4-CD set 4782303: Bargain of the Month – review.  Psalmus Hungaricus (in English) with Bartók Dance Suite: Everest SDBR3022 LPO/Ferencsik  review and 2013/16 DL News. I’m sorry to present you with such an array of authoritative recordings of the music of Kodály, all with Hungarians at the helm. If you are looking for a bargain introduction to his major works, you can’t do better than the Doráti collection, either on the Double Decca or with other equally fine recordings directed by István Kertész on the 4-CD set. Otherwise my benchmarks come from Iván Fischer on a Philips recording which, incredibly, remains available only as a download; surely it will reappear with his other recordings from Channel Classics. Apart from the Everest recording, the oldest here is the 1964 recording from János Ferencsik, still sounding well in the lossless transfer on HCD32122. In addition to the usual suite from Háry János we have several vocal items from the original Singspiel – as, indeed, we also have on the Philips recording. These are a welcome addition to the original LP with the Suite and the Dances and the only problem concerns the lack of texts with this or any of the Hungaroton downloads. You could purchase the CD but of the albums listed only this and HCD11392 remain available on disc in the UK. I can be sure of the date of the recording but not of the other Ferencsik recording on HCD12190. Though the orchestra remains the same for the Háry János Suite, this appears to have been made at a different (later?) date since the timings of the movements all differ slightly, in some cases up, in others down. The Concerto for Orchestra appears to date from around 1980 – certainly not much later, since Ferencsik died in 1984. The Suite is just as fine as on the other recording and the Concerto receives what was then a fairly rare outing. The latter is not as well balanced but doesn’t deserve the slating which it received from LS in 1985 – perhaps he was writing about the LP rather than the CD, both of which appeared simultaneously. Certainly the lossless transfer is not bad at all, though Doráti on Decca is clearer, even in mp3. The short playing time on this and several of these other Hungaroton recordings is taken care of by eclassical.com’s per-second charging policy: $7.59 for this album. 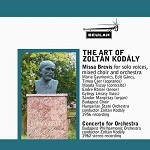 1PD21 : I somehow seem to have missed Kodály’s own 1962 recording of the Concerto when Beulah released it in February 2014 but I caught up with it via Qobuz. The performance is presumably authoritative and the recording, made by DG, though a touch dry, is more than good enough to allow us to appreciate it, though I think it’s a little earlier than the stated 1962, since it was reviewed in the January of that year. 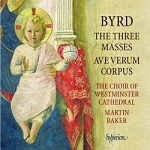 The coupling, recorded by HMV and also conducted by the composer, gives us a benchmark by which to judge more recent performances of the Missa Brevis. Both the remaining Hungaroton recordings contain stylish versions of Psalmus Hungaricus. If you already have the Dances, the Doráti recording will be preferable, especially as it comes with a good performance of the Peacock Variations. Naxos have been doing lovers of 20th-century English music proud with new releases and reissues licensed from BMS and others. There’s only one other recording of the Stabat Mater and, good as that is, it’s nice to have a choice. 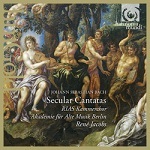 That rival recording comes on a Chandos 2-for-1 reissue, withMissa Sabrinensis, the LSO conducted by Gennady Rozhdestvensky (CHAN211-27 – review and DL Roundup June 2011/2, where it’s reviewed with several other Howells recordings). Rozhdestvensky proves a surprisingly apt conductor of music with which I would never have associated him, but David Hill is steeped in English church music, both Anglican and Roman Catholic, and you may prefer his rather tauter performance, well supported by fine soloists and the hugely experienced Bach Choir. It’s not that simple, however, because the coupling on the Chandos recording is the only recording of the equally fine Missa Sabrinensis. 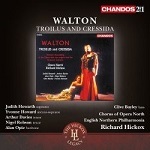 At £11 on CD or £8.40/£9.99 for mp3/lossless download from theclassicalshop.net it’s as inexpensive, disc for disc, as the Naxos. The latter comes in mp3 only – why do they offer only a few releases in flac? 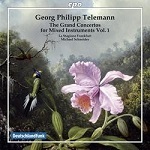 – but it can be streamed in lossless sound from Qobuz and purchased from there – again in lossless sound – for about the same price as the classicsonline.com mp3. 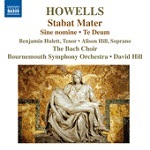 Whichever recording you choose, Howells’ music deserves to be more widely heard and known. The Te Deum represented a fresh approach to Anglican music and it receives a performance to match. Even in the mp3 version the recording is good throughout. rec. St Peter’s Church, Hampton Lucy, Warwickshire, UK, 8-10 September, 2013. DDD. 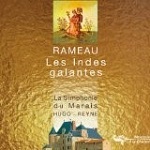 NAXOS 8.573227 [72:09] – from classicsonline.com (mp3) or stream from Naxos Music Library or Qobuz. This is primarily for Christmas* – Adam lay ybounden and Bethlehem Down, especially the latter, are among the finest carols – but it’s well worth playing at any time in these performances. 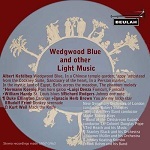 In many cases these are the only versions in the catalogue but where there are rival recordings on a 1992 Chandos album of Moeran Songs of Springtime and Phyllida and Corydon and Warlock, including Corpus Christi, As Dew in Aprylle and Bethlehem Down, you may prefer the performances there by Anna Crookes and Rachel Wheatley (sopranos), The Finzi Singers and Paul Spicer (CHAN9182 [75:52] – from theclassicalshop.net, mp3 and lossless, with pdf booklet, including texts). The lack of texts is a problem, especially in the case of Benneth Nadelik ha’n Bledhan Nowedh. If you are wondering about the cover shot, it’s Warlock’s monogram – real name Philip Heseltine – on the front of his copy of Schoenberg’s Second String Quartet. Benneth Nadelik ha’n Bledhan Nowedh is receiving its first performance in Cornish but there are six world premiere recordings on a recent Resonus album of Warlock’s music: RES10129 – see 2014/3. * Even earlier than usual, I received my first two Christmas CDs for review in mid September. NAXOS 8.573106 [57:06] – available as NX3106 from theclassicalshop.net (mp3, 16- and 24-bit lossless) – see review – review – review – review – DL News 2014/1 for download from classicsonline.com (mp3 only) and eclassical.com (mp3 and lossless). 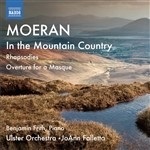 This is the free download with this month’s newsletter from theclassicalshop.net. If you haven’t yet signed up, it’s too late for this recording, but it’s a free service and you can benefit in future months. My only reservation was and is that the Naxos coupling cuts across other recommendations, from Chandos – the owners of theclassicalshop.net – and Lyrita. As a freebie it comes in mp3 form but theclassicalshop.com also offer it in mp3 (at £5.20, slightly more expensively than from classicsonline.com), 16- bit lossless (at £5.75, slightly less than from eclassical.com), and in 24-bit, which no-one else currently offers, albeit at an expensive £11.99. 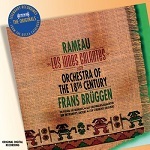 NAXOS 8.572763 [58:37] – from classicsonline.com (mp3) or eclassical.com (mp3 and lossless) or stream from Naxos Music Library or Qobuz. As Leslie Wright says, most listeners will probably be happy with the Suite – about half the ballet – and there are plenty of good recordings of this, ranging from classic performances by Ormandy on Naxos Classical Archive (9.80241 with Symphonic Metamorphoses, Szell, and Schumann Symphony No.1, Leinsdorf, download only) and the composer himself (EMI, early stereo, with Concert Music, Horn and Clarinet Concertos,Symphonia Serena and Symphony for Wind Band, download only) to the recent Neschling (BIS-SACD-1730, with Mathis der Maler andSymphonic Metamorposes – review and DL Roundup 2011/1). Equally, there is plenty of fine music in the complete ballet that is omitted from the Suite and at the Naxos price (£4.99 from classicsonline.com) there’s no need to hesitate. 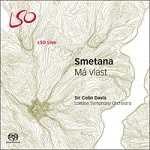 The COL mp3 is very good, the eclassical.com lossless slightly but significantly better but, at $10.56, rather more expensive. Please see full review by Rob Barnett and myself on the main MusicWeb International pages. If you are looking for more of the ballet than the excerpts included on the composer’s own recording (Beulah, above) but don’t want the whole ballet, the Chandos disc containing the three suites in powerful performances, very well recorded, could be your ideal solution. A word of warning: I downloaded the complete album using the Download Manager and every track contained cracks, bangs and horrendous drop-outs. The solution was to go back and download each track manually – at least Chandos allow a second bite of the cherry. Another grumble: because this is an older album, you have to re-number tracks 1 to 9 as 01 to 09 to get them to play in the right order. Albums released in the past few years don’t present this problem but it would be a sporting gesture if the engineers put the older ones in order to save the punters from having to do it. 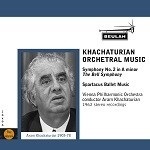 My only reservation about the fine Signum album is that I would have preferred more of Khachaturian’s music in exchange for the Ravel. That, too, receives a fine performance, but there’s more to Daphnis et Chloé than this suite and I prefer to hear it complete, preferably from Pierre Monteux and the LSO (Decca Originals E4757525, with Rapsodie Espagnole and Pavane pour une Infante défunte). I should point out that Brian Reinhart was less than taken with the Khachaturian; I certainly agree with him that the recording needs to be turned up a notch or two. I haven’t been able to hear the highly-regarded recording of excerpts from Spartacus and Gayaneh which Kirill Karabits recorded with the Bournemouth PO: Onyx4036 – review – download from 7digital.com. 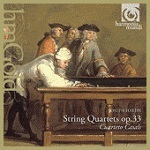 TOCCATA TOCC0241 [81:01] – from eclassical.com (mp3 and lossless) or stream fromQobuz or Naxos Music Library. Chandos have given us some of the film music of Bernard Herrmann (CHAN10577 [77:31] – download fromtheclassicalshop.net, mp3, 16- and 24-bit lossless – review) but, fortunately, nothing on that album duplicates the new, even more enterprising, Toccata release of music by Herrmann and others for the Hitchcock movies, much of it lovingly restored by the conductor John Mauceri. Nor do the two Dmitri Tiomkin titles duplicate a Unicorn recording of his music (UK2011 – also from theclassicalshop.net, mp3 and lossless). This very enjoyable new Toccata album, idiomatically performed and well recorded, inevitably led me to the Chandos recording of music from Hangover Square [17:05] and Citizen Kane [49:07] and an arrangement as a piano concerto, Concerto macabre, of music from the former [11:01], with Martin Roscoe as soloist, another of the very fine recordings of film music made for that label by Rumon Gamba and the BBC Philharmonic. Another case of déjà-vu which began with my wondering why Naxos had chosen to re-record out of the way British music which had already been recorded by the British Music Society. As with the York Bowen chamber music release, this is a reissue under licence of the latter. 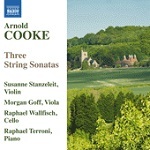 Arnold Cooke’s three chamber works prove that music from the second half of the twentieth century can sound as tuneful and lyrical as if composed by a contemporary of Elgar. All three works are charming and enjoyable even if they don’t seem to ‘go’ anywhere. The Kentish scene, with church and oast-houses on the cover strikes the right tone, but there’s power in the music, too, with nary a hint of cowpat style. Performances and recording are very good. As the non-standard catalogue number indicates, this is one of BIS’s shorter offerings that’s available only as a download; their recent Adès album is another of these short programmes (review). Happily BIS’s per-second charging ensures these releases are good value; indeed $6.94 for the mp3s and $11.10 for the 24/96 flacs is a steal when there’s so much fun to be had with this feisty fivesome. The only composer who is familiar to me is Raimundo Penaforte, two of whose pieces are featured in Brazil!, a most engaging collection by the Los Angeles Guitar Quartet (review). 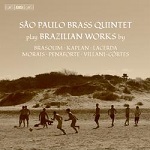 Engagement is the operative word here too; the level of inspiration is pretty consistent throughout, and The São Paulo Brass Quintet - formed in 2001 – are equally captivating. The programme has been well chosen, with just enough variety to stave off any hints of sameness. Rhythms are infectious and intonation is rock-solid. I’m especially impressed by the recording, which is both clear and atmospheric. Ensembles of this kind are tough to record – all too often players are closely miked and/or the sound has a razored edge – so kudos to the BIS team for getting this one absolutely right. If the results of the football World Cup have left you feeling bereft this album will come as a very welcome pick-me-up. Great fun. Ella Fitzgerald with Louis Armstrong, Louis Jordan, etc. I can’t give you any information about the provenance of these recordings, as there’s none with the download – it really is time that the booklet came as standard. Other than that, I greatly enjoyed these very well transferred recordings. One other small criticism is that there’s not much of the darker side of Ella Fitzgerald here – plenty of the likes of Puttin’ on the Ritz and I’ve got my Love to keep me warm (tracks 1 and 2) but nothing darker than Miss Otis regrets (track 7). 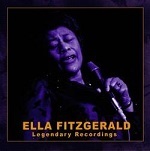 Many of Ella Fitzgerald’s fans will miss songs like Love for sale. Still, with thousands of alternatives, it’s not too difficult to find what you want, as on The complete Ella in Berlin (Universal/Verve – stream or download from Qobuz).